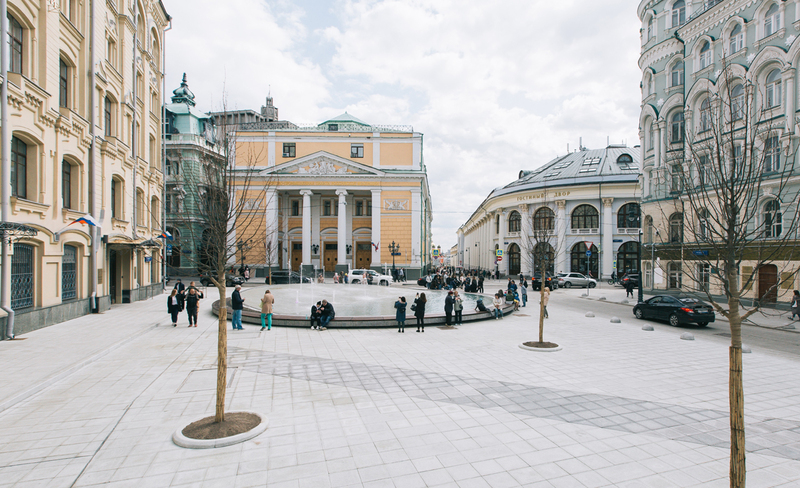 As a part of a larger strategy to turn inner Moscow pedestrian, karres+brands was asked to transform Birzhevaya Square (Stock Market Square), in collaboration with Strelka KB. 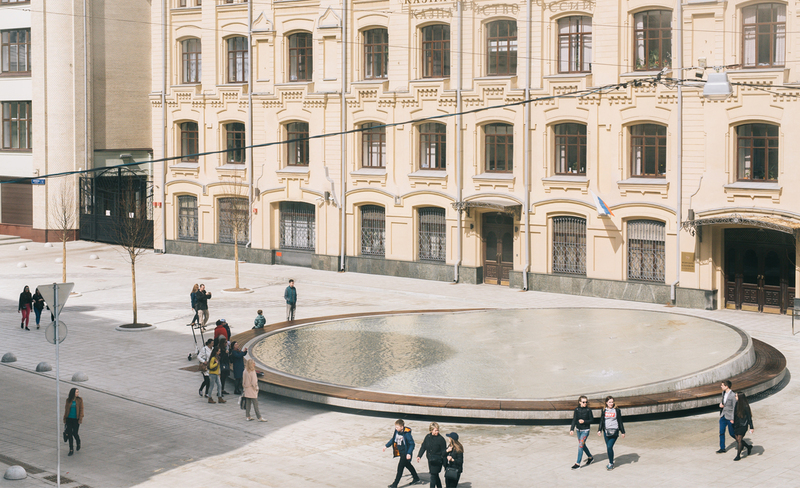 The square, surrounded by rich architecture and located in the historic center of Moscow, a few hundred meters from the historical Red Square and the new Zaryadye Park, is one of Moscow’s few small scale public spaces. What was once a vibrant city space had been taken over by cars and parking in the past decades. By carefully clearing up the space, and allowing the context to breath we created a cozy urban piazza with a distinct fountain at its center. The use of water highlights and reflects the beautiful surroundings and offers a playful and cooling experience for the users. Through the vertical rotation of its core, the fountain not only defines various spaces, but also a diverse experience of water. 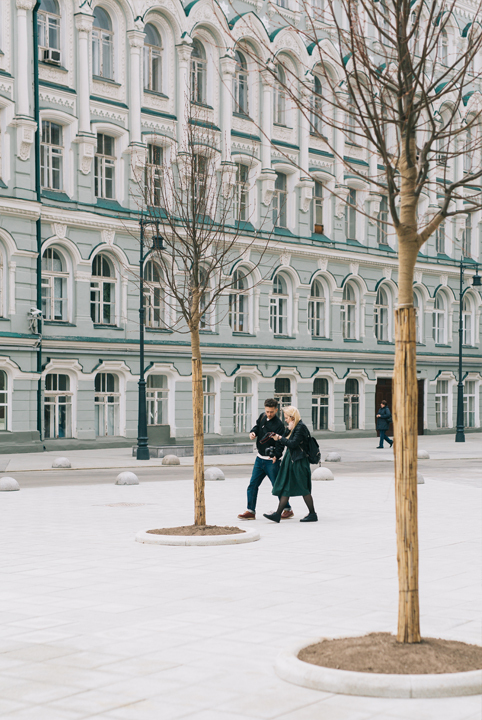 Towards the street the edge rises to protect and mark the presence of the square, while towards the plaza and sunny side it defines a gentle slope where people can sit and enjoy the water. The fountain changes through the seasons. In hot summer days a film of water can flow down the slope into the pond. This thin layer can be a refreshing playing element in hot days and provides not only a cooling effect but also a soothing sound experience. At special occasions the fountain can be drained and used for events and performances, where the slope will become functional as a sitting tribune. 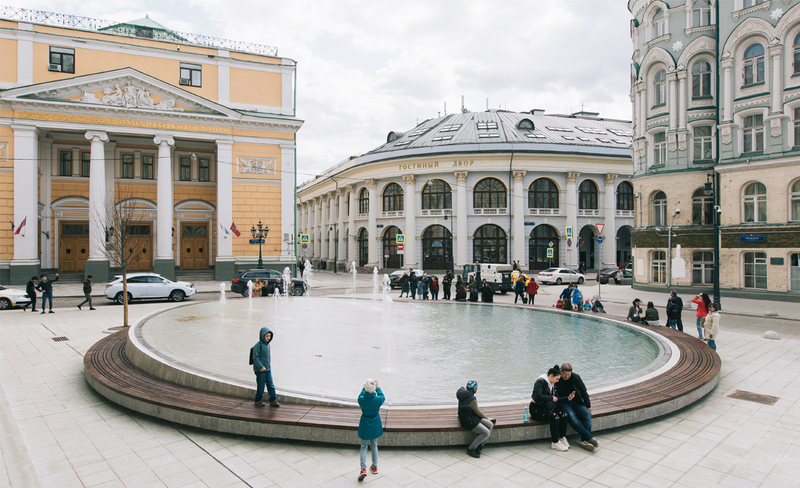 The works were carried out within the My Street program, which is part of the Moscow government’s Recreational and Tourism Strategy. 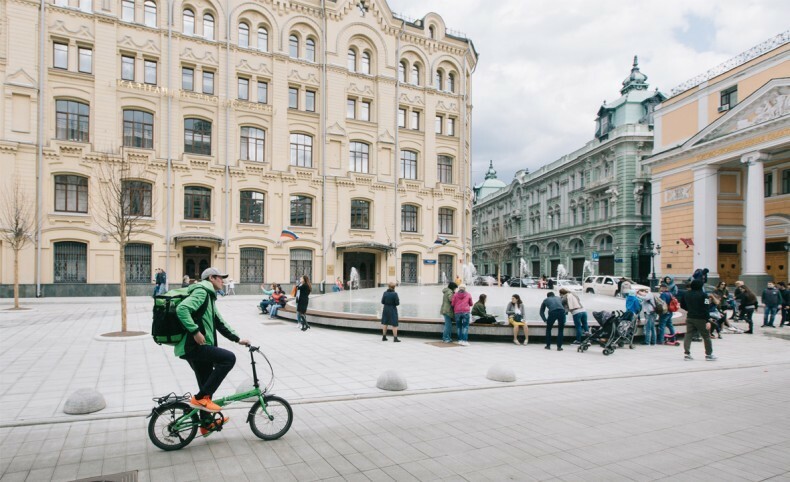 Since 2015, Strelka KB has supervised redesign efforts for 250 city streets, avenues, and embankments. The total length of the renovated streets amounts to 50 kilometers. 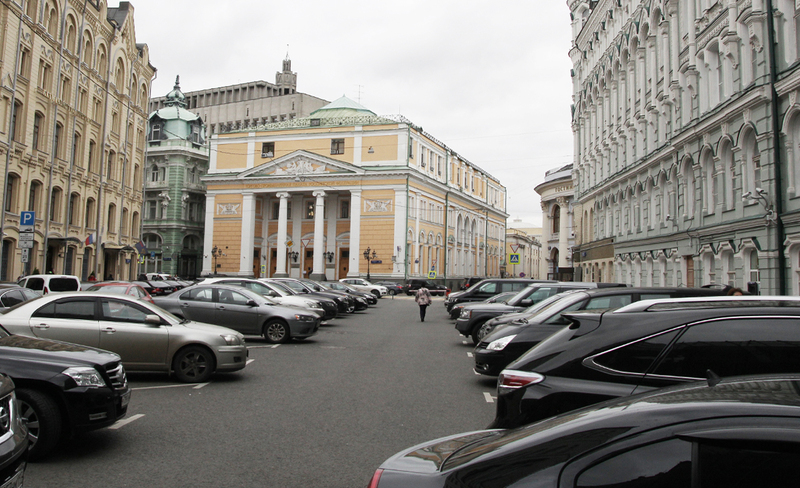 For the first time in Moscow history, dozens of international and Russian architecture firms were engaged in the renovation of the streets and public spaces.